Spring has officially sprung, and we are psyched. Seriously, we couldn't be more stoked to put away our floor-length parkas and our stupid hats, break out the shorts and sandals, and start planning a big backyard barbecue. But before you get too carried away, remember this: In the great game of homeownership, a pound of prevention could save you thousands of dollars in repair costs. Don't know where to start? 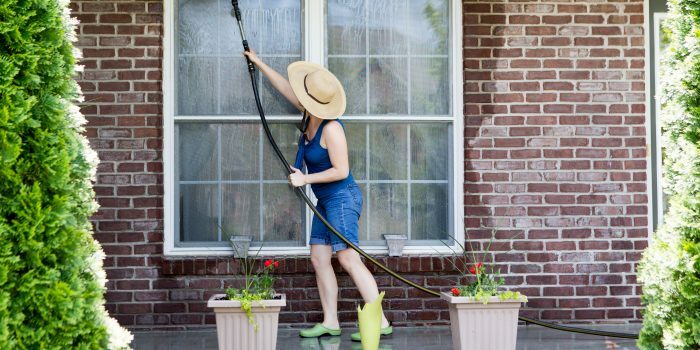 We've done the heavy lifting for you, focusing on the most crucial spring chores to tackle—and how to take 'em on, whether you're up for some DIY action or need to call in the pros. So go ahead and set aside a Saturday (soon!) for these essential maintenance tasks, and prep your home for all those spring soirees. A lot can happen between winter and spring, and experts agree a visual inspection is crucial to stopping small problems before they turn into big ones. So grab a camera, notebook, and even binoculars, and take a few laps around the perimeter of your place. "The first circuit should be from about 60 feet out, so you can get the big picture," says home inspector Lisa Turner, author of "House Keys: The Essential Homeowner's Guide." On the first pass, look for siding damage, missing paint, holes, large cracks, damaged downspouts, and areas where water is accumulating near the foundation. Check your decks for levelness, and use binoculars to examine the roof. Next, bring it in closer: Examine soffits, doors, windows, screens, and vents, and make a note of any damage. DIY: If you feel comfortable, shimmy up a ladder to get a view of your gutters. 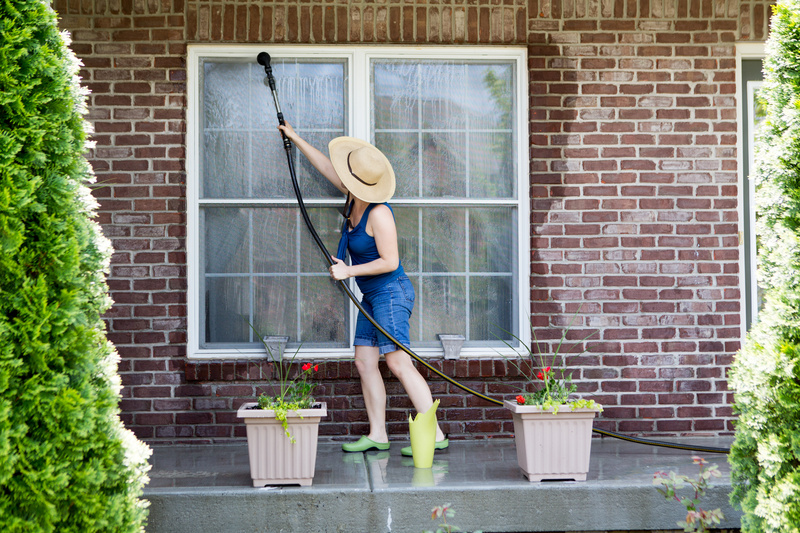 Check for debris, and run water through your downspouts to make sure they aren't clogged. Call in the pros: Roofing, siding, and soffit damage should all be tackled by a pro. The average cost per hour will vary by region, but Turner says to figure $65 to $95 per hour for a licensed professional plus materials. We know, we know—you're probably not stoked for this one. But here's the cold, hard fact: A lot can happen down there during the frigid months. Critters can set up house, pipes can freeze or break loose from their brackets, and too much moisture can lead to (shudder) mold. DIY: "Unless your crawl space is full of rooms, you can do a very thorough inspection from the entry door," Turner says. Open the door, kneel down, and train a high-powered flashlight on the ground. Most homes have a vapor barrier or plastic sheet covering the entire dirt floor, which prevents humidity from seeping into your insulation (and your home). Make sure this sheet is intact and hasn't shifted or been ripped by animals during the winter months. Next, run your light on the underfloor structure and check for moisture, dripping, falling insulation, mold, or sagging. If you do decide to fully enter your crawl space, be sure to wear a Tyvek (polyethylene) suit, a mask over your mouth, and safety goggles. Call in the pros: If your floor is sagging—or if you spy serious mold, water leaks, or a pest infestation—call in a professional. The average cost will vary by region, but figure $65 to $95 per hour for a licensed professional, according to Turner. 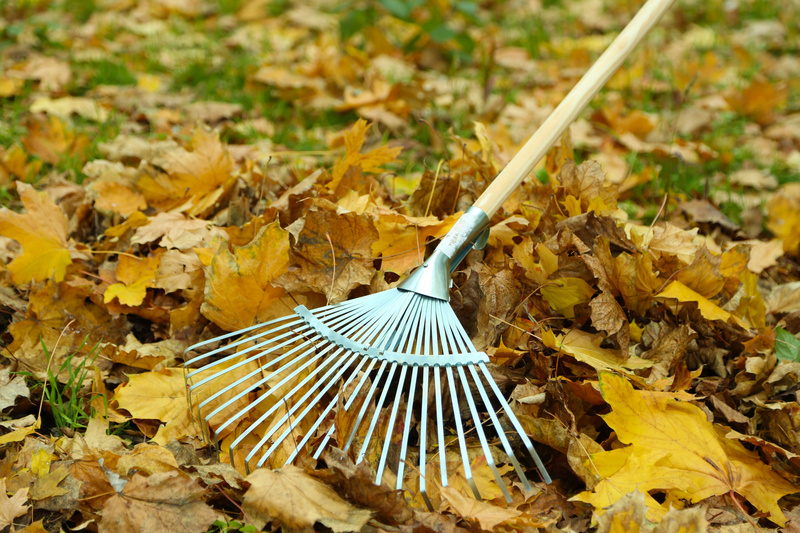 Kick off the growing and mowing season with a spring-cleaning of your yard. 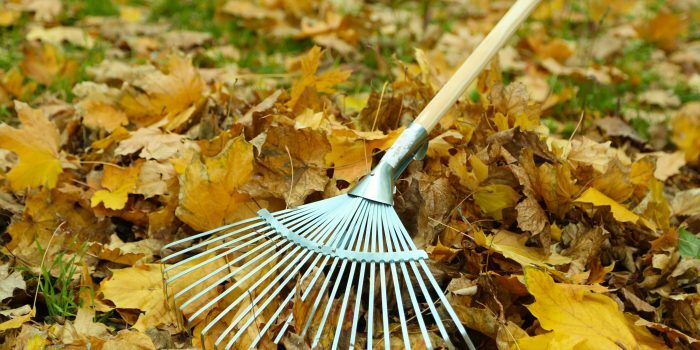 Grab a rake to clear out dead grass, weeds, and sticks, and use a mulching mower to recycle it all. Then, if the soil has warmed in your neck of the woods, apply mulch. If your yard has seen better days (and thanks to the epic storms of this past winter, chances are it has), patch and thicken your grass with an overseeding product. "Timing is crucial for success," Dwyer says. "Aim for an early spring seeding for cool-season grass and a late spring sowing for warm-season grass." Call in the pros: Landscapers typically charge between $150 and $270 for professional mulching, plus materials. We all know that April showers bring May flowers—but only if you've done the requisite prep work. "Pick up a handful of soil and squeeze it," recommends Ashleigh Lemon, research specialist at Scotts Miracle-Gro. "If it crumbles easily, you can start preparing your beds. If it sticks together in a clump, it's still too wet to work in." 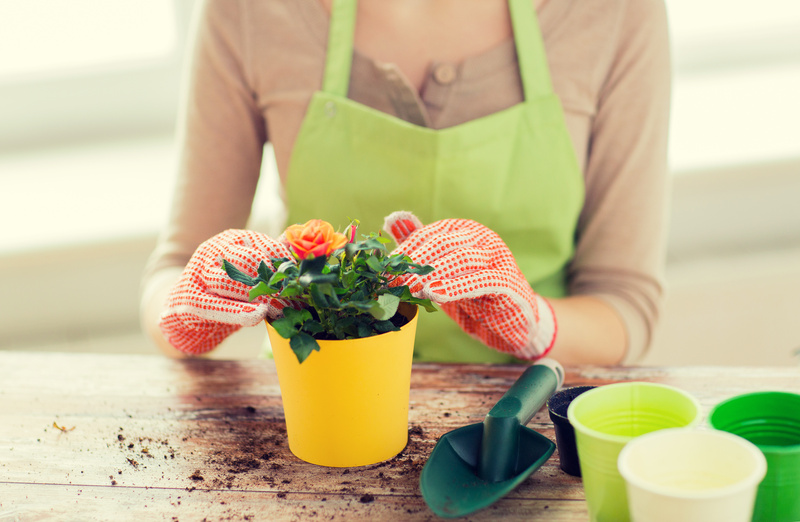 DIY: Begin preparing flower and vegetable beds by removing any dead plants. Then work in compost, which will provide your soil with rich ingredients as well as continuous-release plant food. Next, pull out weeds and use a pre-emergent weed preventer. "The more weeds you eliminate now, the less competition your garden plants will face for sunlight, nutrients, and moisture," Lemon says. 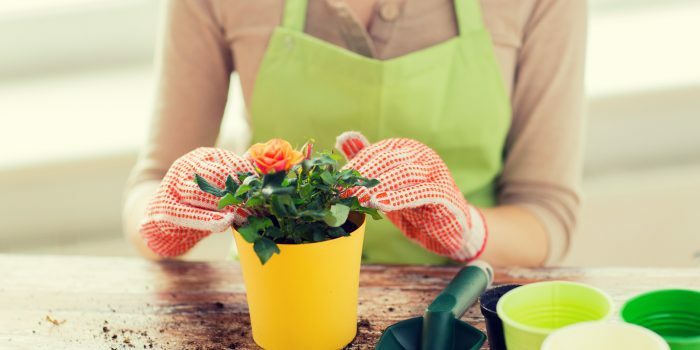 Call in the pros: If you don't have anything even remotely resembling a green thumb, consider hiring a professional gardener or landscaper. But know that the price you'll pay will largely depend on how big an area you want planted. 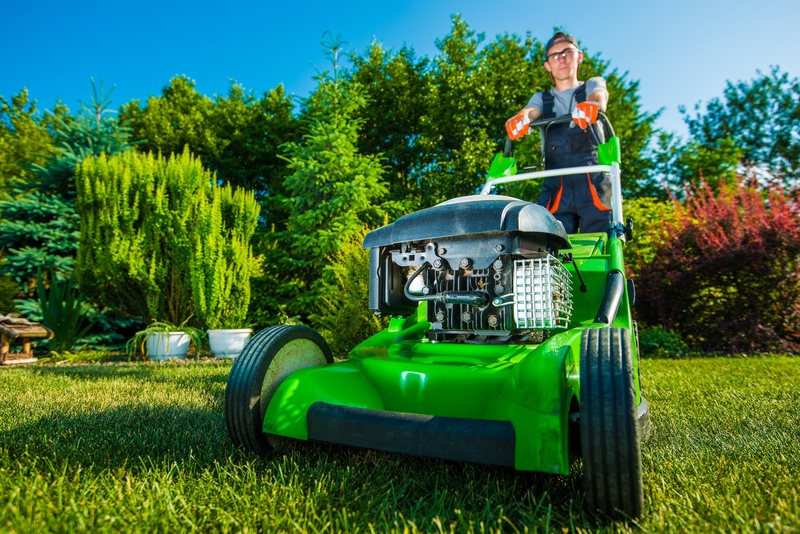 After months of hibernation, your lawn mower will need a quick tuneup; clean the exterior, change your oil and spark plugs, and fill the tank with fresh fuel. 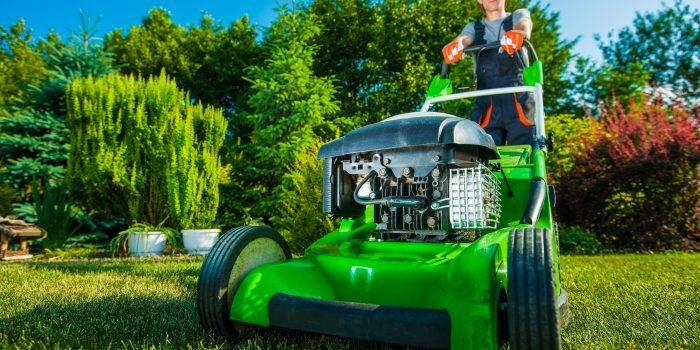 Call in the pros: On average, a professional tuneup for a push mower will cost $50 to $100. "The last thing you want is for your appliances or HVAC to stop working just as the weather warms up," says Chip Smith, chief marketing officer at Sears Home Services. Call in the pros: Professional HVAC services run between $100 to $250, and include cleaning the condenser and lubricating the fan motor. With gatherings for Easter, Passover, Mother’s Day, and even graduations right around the corner, you’ll want to make sure your dishwasher can handle all those dirty dishes. DIY: Make sure your dishwasher's drain is free of debris to prevent clogging. If your unit has a removable filter, clean it regularly with a mild detergent. Call in the pros: If removing the filter doesn't solve your dishwasher woes, a professional appliance repair service will likely set you back $150.